Stylish, by definition, is trendy, modern, fashionable, sophisticated, elegant, glamorous. When someone or something is “stylish” it captivates our hearts and attracts our attention. A woman is considered stylish if she follows fashion and gives attention to the details of her makeup, hair and nails. A home is considered stylish if the details and finish are exquisite and up to date. 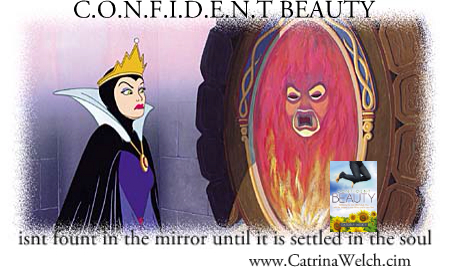 Today’s blog is an excerpt from Chapter Seventeen of Confident Beauty in honor of Labor Day Weekend. Most women hate, hide or get hung-up on how they look. C.O.N.F.I.D.E.N.T BEAUTY is a balance of both fashion and faith and doesn’t wear off like makeup does! While most women want to understand their image and enjoy analyzing their body frame and facial features, I find that many of us put up a guard when it comes to assessing our personality. No one wants to be critiqued, and limiting our individuality to one (or two) of six options can feel a bit like criticism, I know, but hear me out on this. Let’s liken our assessment to what a florist needs to do when she is caring for her various plants. With a quick glance she summarizes which type of flower she has and immediately she knows whether to water it daily, weekly or monthly. Some flowers she may give an ice cube to now and then because they need to receive water very slowly as the ice melts. There are some, like the Calla lily, that prefer shade, so she may put that flower in an area where she can protect it from the sun, while there are others she may put in full light to keep warm so that they may reach their full beauty. Women are like that. Some of us need, or just want, extra care. Some prefer less fuss. Many are not sure what they want or need. What is right for one woman may be wrong for another, and too often we are confused as to which is which. Understanding our needs and our differences is what brings us Confident Beauty. As much as I believe that God does not want us to judge each other by our outward appearance, I also believe that the outward character often indicates what is on the inside, and that is what really matters. The challenge I run into when assessing women is when their preferences do not line up with their physical stature. This is very common for girls who were raised by a woman with a different Img.ID. We naturally form our opinions on what feminine beauty should be through personal experience. Influential women in our lives either help us decide if we want to be like them, or not. Perhaps your mom was a Classic who taught you to keep a proper and professional wardrobe but you just wanted to be carefree and casual with your look. Your choice is to comply with her style and feel confined and constricted, or to choose your own manner of expressing your individuality. A lot of times your unique style (your Img.ID) includes many aspects of the feminine influences in your life mixed in with what you like. Other times you may need to decide to change things that worked for her, but do not work well for you. If you would like to learn more about the six various styles of beauty of discover your personal Image Identity (Img.ID), be sure to take advantage of my Labor Day Weekend Exclusive Offer: The ebook edition of Confident Beauty will be available this Friday through Monday to download on your favorite e-reader device for only $1.99. Consider it my back to school gift to you. This exclusive ebook offer is available through Amazon, Barnes and Noble, Chapters, iBooks, or your favorite e-reader store. You and I face Confidence Conflicts every day. Some of them are self-inflicted because we allow our minds to dwell on our own imperfections, inadequacies and mistakes. Others are inflicted on us by the human (and sometimes evil) nature of others. But when these conflicts arise we need to decide: Will we let the insults and inflictions crush us or not? There are times when Confidence Conflicts are based on reality and times when they are simply opinions and emotions, but even when the insults are accurate, we can choose to keep our chin up and remain strong. Granted we should be careful not to ignore or stuff the situation, we also need to allow room for grace–even if it is undeserved. If we are women with Confident Beauty, then we should not hang our heads or harm ourselves just because someone sees something about us that they do not like–even if it is something terribly wrong. Why not? Because Someone died to cover our shame. Or perhaps she was just hard-hearted. I wonder why? Had she suffered miscarriages or maybe abortions? Did she have an issue with drinking, drugging or some other form of denying herself reality? Did you notice she was avoiding the other women in her life; do you think they were mean to her? Why? If she was innocent (and confident!) wouldn’t she go to the well when they did? Or was she innocent but feeling totally defeated because of their mis-judgments of her? I bet she was at the very least depressed. Was she suicidal? I wouldn’t be surprised; Jesus was very animate about going to see her even though it was very dangerous for Him. Whatever Confidence Crusher the Samaritan woman faced, whatever she was feeling, it all changed when her Messiah showed her His love. Her spirit was no longer crushed, although the conflicts were still there. She may still have been labeled an outcast, but instead of hiding, she left her watering pot and went to the same people who hurt her and invited them to come and meet the One who set her free to BE and LET BE. Now that’s Confident Beauty, which doesn’t wear off like makeup does! Are you feeling anxious about attending a formal affair this Christmas? You are not alone. I want to encourage you that you can feel more confident about yourself and choosing your attire for such an occasion could actually be a fun thing! When know how to achieve “your look” you can get ready for your party and then forget about yourself and focus on the people and the event. A woman of Confident Beauty has more fun (blonde or not)! What is the difference between a “makeover” and a “Supreme MakeOver”? A makeover changes how we look. A Supreme MakeOver changes who we are. A makeover changes how we feel about ourselves for today. A Supreme MakeOver changes what we believe about ourselves forever. Before we can change what we believe about ourselves, we first have to take a good look at what we already believe. Take a moment to really search your soul. I want you to think about the things that have touched you emotionally regarding your image (Perhaps you don’t intend to you to that party because you don’t know what to wear?). How do you feel when you have to stand before others? How do you feel in a room full of beautiful people? Have you ever surprised yourself with something you did or said that, after thinking about it, you now know was really all about how you felt about your image? In other words, we all want to be lovely to someone. As we experience life we make decisions about how we will meet that desire, or allow others to meet it, or we guard ourselves against ever trusting someone to meet that need again. Can you think of any examples of how your MO has changed as you have experienced victories and defeats in your life? The woman with a Dramatic Img.ID tends to have a majestic personality that attracts others, but it is hard for them to get to know her on an intimate level since she is so private. It takes a determined and confident person to pursue a healthy and lasting relationship with her unless she comes to understand that her independent nature makes others feel inadequate and she decides to consciously make herself available to them emotionally. Unfortunately, this girl is often the lonely one in a crowd. She has plenty of popularity, but few true friends. She longs to have intimate relationships to live her life with, but her impatience usually keeps her from taking the time to understand herself or others. Dramatics love fashion and makeup and they tend to have a gift for doing creative things with excellence. Doing a makeover each morning is not a chore to these girls, it’s something they enjoy doing, and they like to look beautiful. They have an eye for detail, so they tend to do the extras like eye shadow and liner and all the accessories. They also like their house and children to look beautiful, which sometimes comes across to others as controlling or obsessively concerned with other people’s opinions, but that is not necessarily the case. Dramatics don’t bare their soul very easily; perhaps that is why they can be so misunderstood. Sometimes they are assumed to have it all together or to be full of wisdom, simply because they are spare with words. Other times they are misunderstood to be disapproving or snobbish, because though they may not be using their voice, their body language is very strong. Look at Hannah for example. You can find her story in 1 Samuel 1-2. God had caused Hannah to be barren, which was a terrible stigmatism in her day. Most women can relate to the deep longing for a child, and many can relate to the consuming agony of waiting for conception. With each menstrual cycle the woman faces a very real grief. The longer infertility goes on the more life-consuming it is. Imagine adding to that personal struggle the brutal judgment of a society that believes you are cursed by God, and then add to that torment the worse kind of rival you could imagine: having your husband’s other wife, who has had many sons and daughters, severely provoking you just to make you miserable (1:6). This was Hannah’s life, and she couldn’t get away from her rival; they shared the same residence, they traveled the same roads, they ate the same meals. At one point (1:7) Hannah’s heart was so sick she couldn’t eat. Did anyone comfort her? No. Even her husband made it worse. He made her feel like she was unreasonable and ungrateful. He laid his words of guilt (“aren’t I enough for you?”) onto her already anguished heart (1:8). Elkanah should have known Hannah best; he loved her. Yet he seemed to see her as a whiner and complainer who was more concerned about other people’s opinion of her than of enjoying the life he was providing her. What would a Dramatic do in that kind of a situation? Because she’s a control freak? No, because she is sensitive and passionate. I’ll address that in my next blog. This Sunday let’s spend our time in the scriptures that tell the story of Abigail. Now there was a man in Maon whose business was in Carmel, and the man was very rich. He had three thousand sheep and a thousand goats. And he was shearing his sheep in Carmel. The name of the man was Nabal, and the name of his wife Abigail. And she was a woman of good understanding and beautiful appearance; but the man was harsh and evil in his doings. He was of the house of Caleb. Then Abigail made haste and took two hundred loaves of bread, two skins of wine, five sheep already dressed, five seahs of roasted grain, one hundred clusters of raisins, and two hundred cakes of figs, and loaded them on donkeys. And she said to her servants, “Go on before me; see, I am coming after you.” But she did not tell her husband Nabal. What God gave Eve was “indeed very good,” but Satan made it look “shifty.” He must have known she was a Gamine, and would act before thinking. Gamines are also very passionate about their convictions, and they tend to be very persuasive in making those around them agree with whatever they believe. I bet the snake knew that, too. He knew if he could convince Eve that God’s law was unfair and that taking the fruit was right, she would convince her husband. Not much has changed; the same enemy of God is still in the business of twisting up Truth. And his MO hasn’t changed either; he is still on a mission to destroy those created in the image of God, or at least to destroy their confidence in who they are! And when it comes to women, he loves to direct his lies toward the issue of beauty. Your enemy knows that your image is an important part of who you are as a reflection of your Creator, and he hates the fact that you are beautiful. He will do anything to keep you from living your life as a beautiful, captivating woman of God who knows who she is. Why? Because Satan knows just how powerful your beauty is. He knows which style of beauty you are and what your strengths and weaknesses are. Whether you believe it or not, he knows your image has the power to glorify God and to draw others to Him. And that is why he hates your beauty. That is why he wants you to hide it, hate it, or get hung up on it. They hid themselves from each other and from the presence of their Lord. Isn’t that what shame does? It makes us pull away from each other, and from God. Let me say it again: The temptation in the garden was not about Eve (or Adam) eating a piece of fruit. It was about them knowing who they are. The temptation is to be more, to know more; the trap is to be made to feel like a “nobody,” and to pull away from everybody. What happened that day in the Garden of Eden was a negative but supreme makeover. Eve was changed from the inside out. She started as an epitome of God’s beauty, a true reflection of Him. She had peace in who she was. So much so, that she could walk around completely naked with total confidence. She could share herself, all that she was, inside and out, with her Lord and her husband, with freedom and joy. But when she started doubting herself and her God, she suddenly saw herself differently: She found herself inadequate and shameful. She lost her confidence and the ease of intimacy. Who she was, as a woman of God, changed; her eyes were opened and she knew she was naked. She was suddenly self-conscious, aware that she needed to cover herself up…and as a result all her relationships were changed. Satan’s makeover was successful (for him). Eve was a new woman: a fearful, self-conscious, unsatisfied woman in hiding. What she believed about herself had changed. She wasn’t even conscious of her image before; now she believed she should hide herself from the ones who loved her. Gamines do that, too. They are bold women who tend to see things as good or bad, and unfortunately they assume others see things the way they do. If they see in themselves something they don’t like, they think everyone else sees it, too, and often they withdraw from friends who really love and respect them and wish they could be closer. Thank God, Eve’s story doesn’t end with Satan’s makeover and neither does yours–whether you are a Gamine or not. God’s love for us is stronger than our shame. Like Adam and Eve, we may make great effort to hide from God, but all our efforts do not keep Him from pursuing us.